Can you hear the colours of my life? My blue is calling you. It wants to fall down as tears. My angry soul is red. My happy soul is green. On you I want to lean. Please come and hold me again. And let us cross the river. It’s not at all deep. And to smell the smiling flowers. Oh! There’s a swing pink in colour. 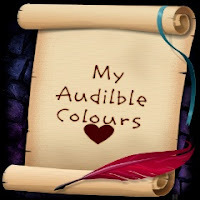 Audible colours of our heart. As I told you earlier also that you are a versatile writer and you have proved it so many times. As far as colours are concern, I am BLACK and I have no shades on me. Even if you try to find me in your optimistic view, you'll only get to know that it was just the dark side of your illusion. Nice poem Zinta. Keep it up. I think you have a clear understanding between the visual arts and the art of writing and can blend the two. wow.. now thts something i can understand.. and i like it too... nice post preetilata.. thanks for posting in my blog.. Thanks for visiting my blog and for ur sweet comments too. hey....did someone tell you....when a you start comminicating with the colours....your feets are no more placed on the earth....that's for sure....you are moving inside the rainbow....and i believe that....now is the time....more such beautiful poems will flow....all the best....that was GOOD. hey mice work i have read after a long time....u r so right in the title itself!! !keep writing! thnx 2 all of u. u all hv encouraged me a lot. thnx 4 ur sweet n encouraging commnt. i hv gone thru ur poem. n blv me itz so lovely. hi, thanks for visiting my blog and for your kind comments. i love your poetry. very beautiful for a beautiful soul. i also like your blog templates here and on the other page with the floating hearts. Your colors are vibrant and wonderful! Thank you for the rainbow of "you"! @HEIRESSCHILD: thnx a lot. kp visiting. @pixiedust : oh! thnx 4 such a colorful commnt. i thnk u all 4 ur colorful encouraging commnts. u all hv me my day more bright n more colorful. wish u all gud luck 4 a colorful life.